The Farmers Insurance Open, which the Basque won in 2017, will be the Tiger's debut, seven triumphs for his part, in the PGA this year. McIlroy, Spieth, Rose ... other stars of the date. Two are the main attractions of the Farmers Insurance Open, historically San Diego Open, which starts this Thursday at the Torrey Pines Golf Course in La Jolla, California. On the one hand, that will be the second appearance of Jon Rahm in the PGA in 2019 after the Tournament of Champions at the beginning of the year, in an appointment that he already won in 2017 to premiere his track record in the North American circuit; for another, which will be the scenario in which Tiger Woods opens its season. El Tigre is facing a turning point. His return to the fields last year, after five years of misfortune, physical problems and bad decisions, was an upward curve with a final climax in his victory in the Tour Championship. Woods burst the television audiences and showed that nobody in golf drags the masses like him. But, after his performance at the British Open (he became a solo leader and finished 6th) and the PGA Championship (2nd), he left a mystery floating in the air that he will have to clear this year: Is he capable of winning again? major? 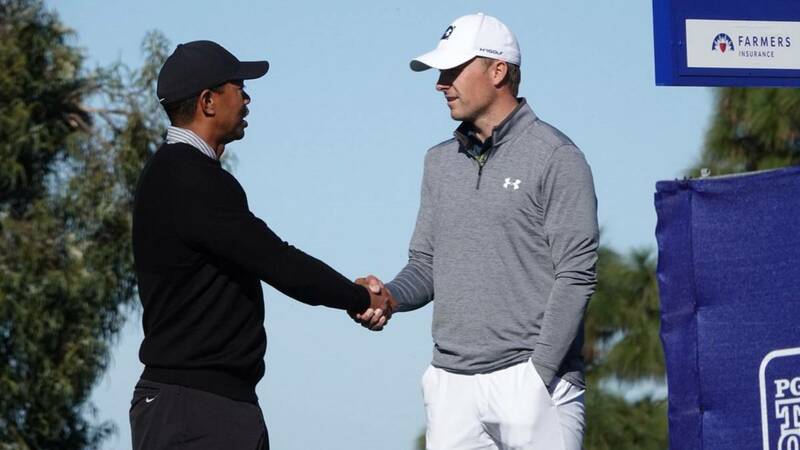 The Masters will arrive in April, but before Woods will go for his eighth win in San Diego (the previous seven were in 1999, 2003, 2005, 2006, 2007, 2008 and 2013). In one of his many private hunting grounds, Tiger, which will leave at 19:40, Spanish time (from 10pm at Movistar Golf), along with Tony Finau and Xander Schauffele, will have to deal with the most select of the PGA : Rory McIlroy, Jordan Spieth, Justin Rose, Jason Day, Rickie Fowler, Patrick Reed, Hideki Matsuyama, Tony Finau ... and Jon Rahm. El Barrika (leaves at 18:30) will be the American Brandt Snedeker and Australian Jason Day (champion in 2015 and last year) as partners for the first round of a tournament that aims to reconquer. Rahmbo arrives with four Tournaments played since the new calendar started at the end of 2018. The HSBC Champios of the World Championships, in which it was 22nd, the Hero World Challenge sponsored by Tiger, in which it got its third PGA, the aforementioned tournament of Champions, in which he finished eighth, and the Desert Classic, which finished in sixth position. It will be the only Spanish in Torrey Pines. Because most of the Navy will be in Dubai for the other Desert Classic, that of the European Tour. There will appear Sergio Garcia, Rafa Cabrera Bello, Olazabal, Adri Arnaus, Adrián Otaegui Nacho Elvira, Pablo Larrazabal, who comes from top-10 (was sixth) in Abu Dabi, Jorge Campillo, Álvaro Quirós and Gonzalo Fernández-Castaño. Also Miguel Angel Jiménez, who leaves the Champions Tour of the PGA for a few days to play the tournament for the 25th time in his career, which has won in one (2010) and has made top-10 in five others. Olazábal, Quirós, Cabrera Bello and Sergio have also sung victory in the Arabian desert. The Canary will leave at 15:20, Spanish time (in Movistar Golf from 12:30) with the German Martin Kaymer and the American David Lipsky. The Borriol, meanwhile, at 11:00 along with Englishman Tommy Fleetwood and another American, Bryson DeChambeau, in one of the stellar matches of the first round.